Multibeam data collected in Mississippi’s Gulfport Sound Channel on October 10, 2017, show that no obstructions were found by OCS’s Navigation Response Team 4. Due to the sequential nature of high magnitude storms — Harvey, Irma, Maria, and Nate — NOAA’s Office of Coast Survey (OCS) faced many challenges following the 2017 hurricane season. In the wake of these devastating storms, a port’s timely reopening to resume maritime commerce activities is essential to the region’s economy and emergency relief efforts. Before and after a storm or disaster, OCS regional navigation managers and Navigation Response Teams (NRT) work with other NOAA offices, the U.S. Coast Guard, the U.S. Army Corps of Engineers, maritime industries, and other organizations to ensure that ports and waterways are reopened as quickly and efficiently as possible in order for maritime commerce to resume. Despite the unprecedented challenges that were faced, OCS positioned its NRTs and assets in strategic locations to conduct surveys and process survey data in order for critical ports and waterways to reopen without significant delays. The Office of Coast Survey (OCS) reached a major milestone in the nautical cartography field by releasing its first chart that was digital from inception, breaking the longstanding practice of creating digital charts based on paper charts. OCS released its 1:12,000 Electronic Navigational Chart (NOAA ENC®) of Massachusetts’ Merrimack River in the RNC Tile Service. This is the first time that a navigational chart — created solely as an ENC product — has been included in the tile service. The tile service version of the Merrimack chart retains the look of a NOAA paper chart but is derived from the ENC charting database. This gives users the opportunity to use ENC-only data with a traditional NOAA chart feel. NOAA intends to incorporate all future charts that are produced only as ENCs into the tile service. 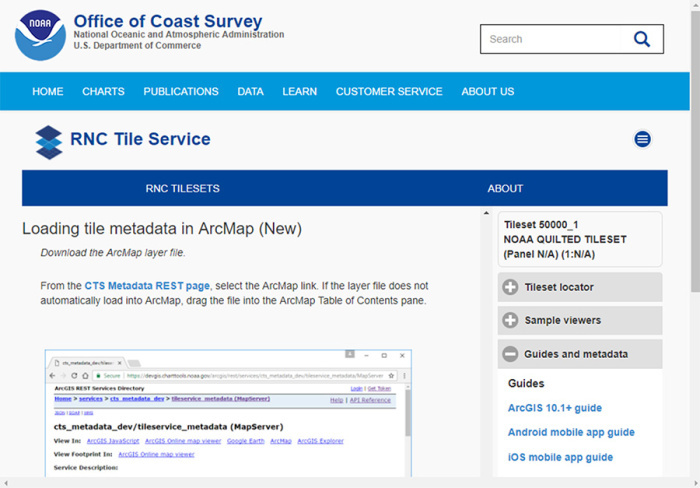 Screenshot of instructions from the tile service website for loading tile metadata into ArcMap. NOAA announced the end of a testing phase in the development of a new crowdsourced bathymetry database. 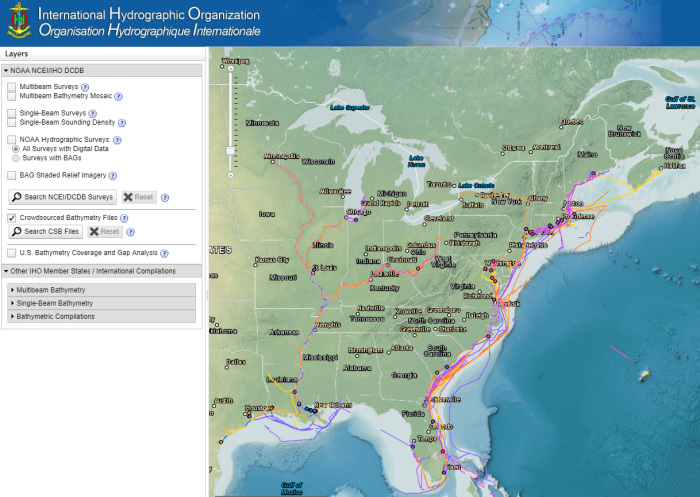 Bathymetric observations and measurements from participants in citizen science and crowdsourced programs are now archived and made available to the public through an international data viewer hosted by NOAA’s National Centers for Environmental Information (NCEI). The operationalized database allows free access to more than 117 million points of ocean depth data, and serves as a powerful source of information to improve navigational products. 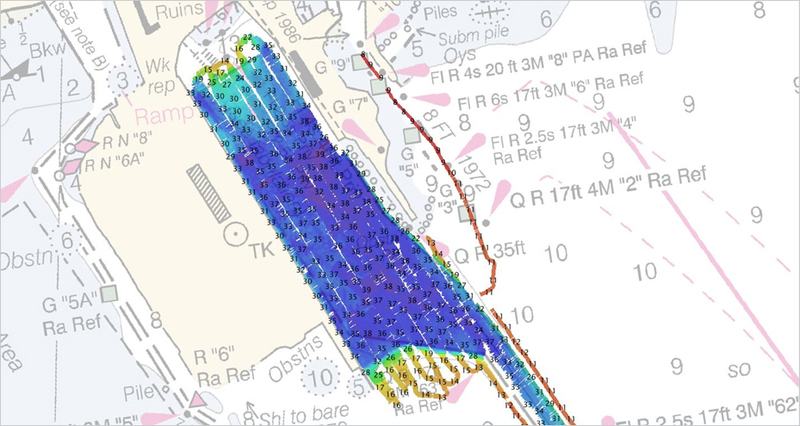 Crowdsourced bathymetry data helps cartographers determine whether a charted area needs to be re-surveyed, can fill in gaps where bathymetric data is scarce, and can be used to identify dangers to navigation. In Fiscal Year 2018 the Office of Coast Survey (OCS) hosted the first class of students to graduate from NOAA’s internationally recognized nautical cartography certification program. The 51-week program grants certificates for up to 13 cartographers per year. The students learned through a combination of lectures, hands-on chart production experience, work details to various branches within OCS, and field trips to working hydrographic survey vessels. 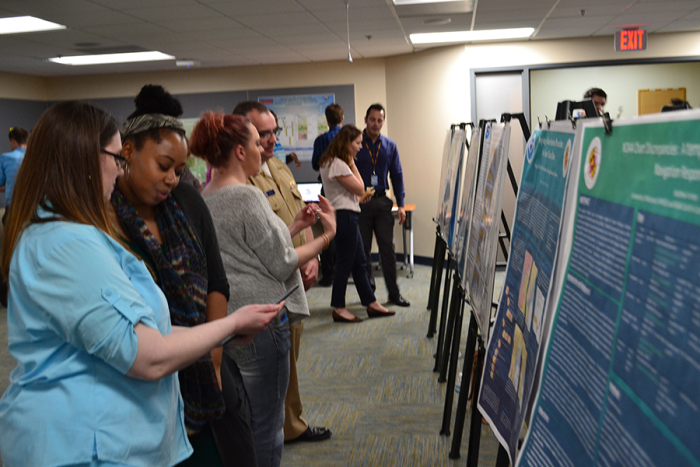 In May 2018, students completed their final projects and presented them during a poster symposium. The students also participated in a summer internship as part of the program’s requirements. poster symposium at the University of Maryland. 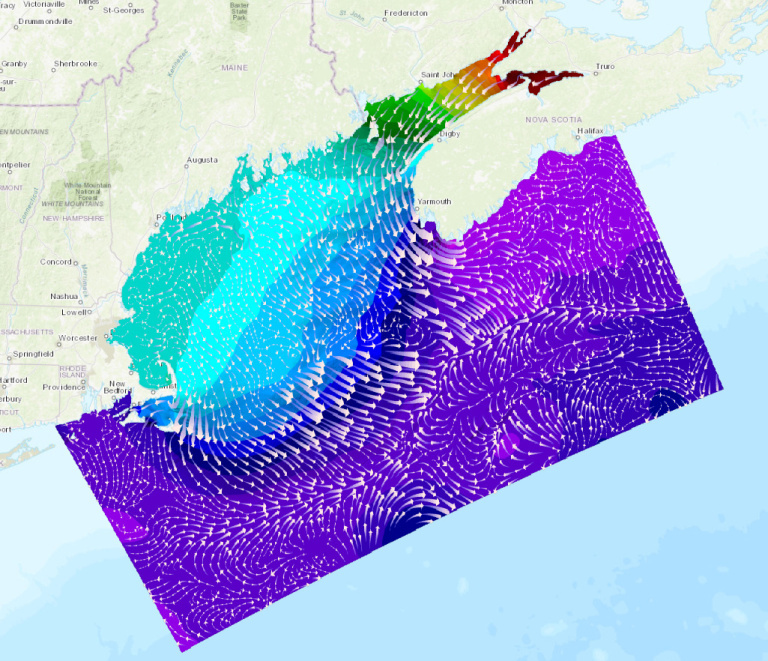 In January of 2018, NOAA’s Office of Coast Survey , in collaboration with NOAA’s Center for Operational Oceanographic Products and Services, and the National Weather Service, introduced the new Gulf of Maine Operational Forecast System (GoMOFS). GoMOFS provides users with real-time forecasts, out to 72 hours, of surface water levels, 3-D fields of water currents, water temperature, and salinity. Its predictions support safe and efficient marine navigation, allowing mariners to plan their routes and avoid accidents. GoMOFS nowcasts and forecasts can also aid in emergency response, ecological applications, coastal management, and harmful algal bloom forecasts. The system’s domain covers the Gulf of Maine region, including eastern Long Island Sound, Georges Bank, and the coast of Nova Scotia. Sample display of the Gulf of Maine Operational Forecast System’s Nowcast output of the surface current field (white arrows) and water levels (background color) on 12:00 UTC, January 10, 2018.